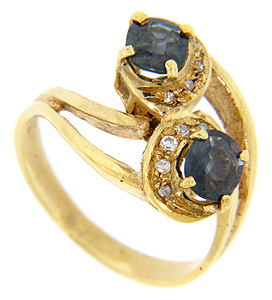 A pair of round sapphires is set in this 18K yellow gold antique ring. 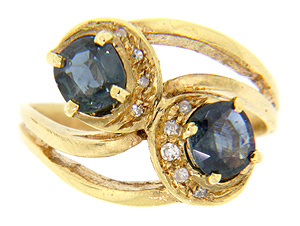 Diamonds accent the blue stones. 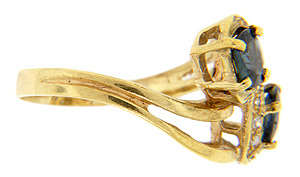 The ring measures 12.7mm in width. Circa: 1950. 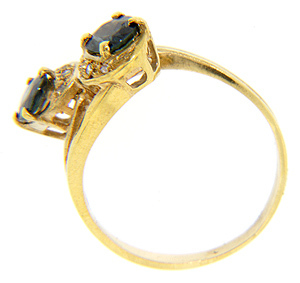 Size: 6. We can resize.